The Shoreline Community College production of “Off We Fly Now” is everything a self-described ‘play with music’ should be. The diversity of casting was a delight — and so was the story, staging, and songs. Written by Turkish playwright Zeynep Kaçar, (translated by Ayça Çinaroğlu), the story starts off in Once Upon a Time. 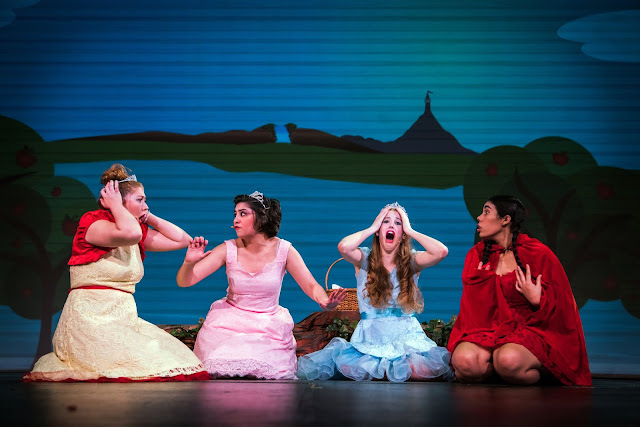 Three fairy-tale princesses Sleeping Beauty (Cassia Ward), Cinderella (Kennedy Clark) and Snow White (Melanie Stagner) are getting tired of the endless cycle of sleeping for 100 years, losing a slipper at the ball, and washing dwarf underwear — you know — princess stuff. Little Red, as in Little Red Riding Hood (Jasmine Bolder), is getting bored with going to Grannies and starts to wonder about her parents. After all, what kind of people send a six-year old out into the forest — with cookies? When they hear the Rapunzel has broken out of her tower and crossed the Reality River, they wonder if ‘happily ever after’ is for them. Kudos to the cast. You had fun on stage, so the audience had fun, too. Turkish-born director Duygu Edogan Monson brought effervescence to the story which has some dark, but under-played overtones. Original music by Paul Jensen will make you tap your toes and try to hum along. He did a great job adapting the lyrics which were originally in Turkish. Set designer Richard Schaefer conveyed a sense of fairy-tale wonder in the cleverness of the props. Sound design by John Nold was inspired. 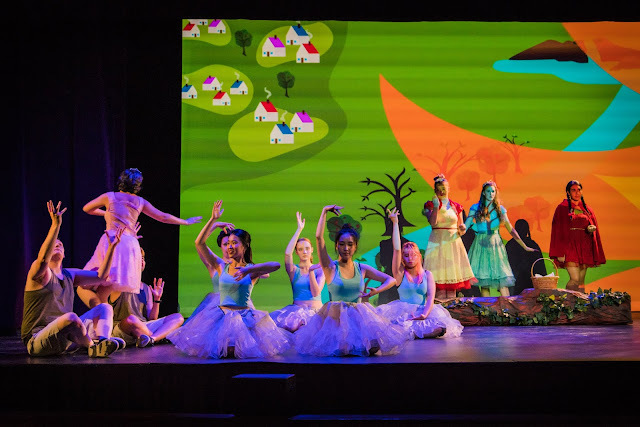 Animated backdrops by Kara O’Connor and Shannon Amdal gave the play a real ‘wow’ factor and were perfectly executed by multimedia designer and programmer Julian Amrine. 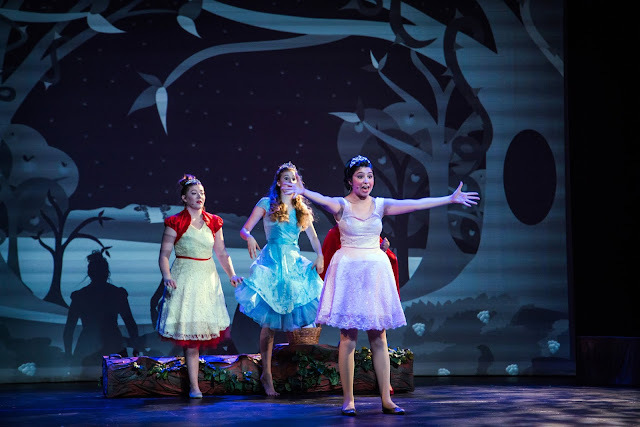 Costumes by Brandi Livingston were whimsical for the chorus and ‘princess-perfect’ for the leads. Even the poster by Anita Proudfoot carries just the right note of a fairy-tale with a lemon twist. Themes in the play make it more appropriate for the grown-up crowd and not for kids due to story factors and shall we say a lot of ‘swearing’. 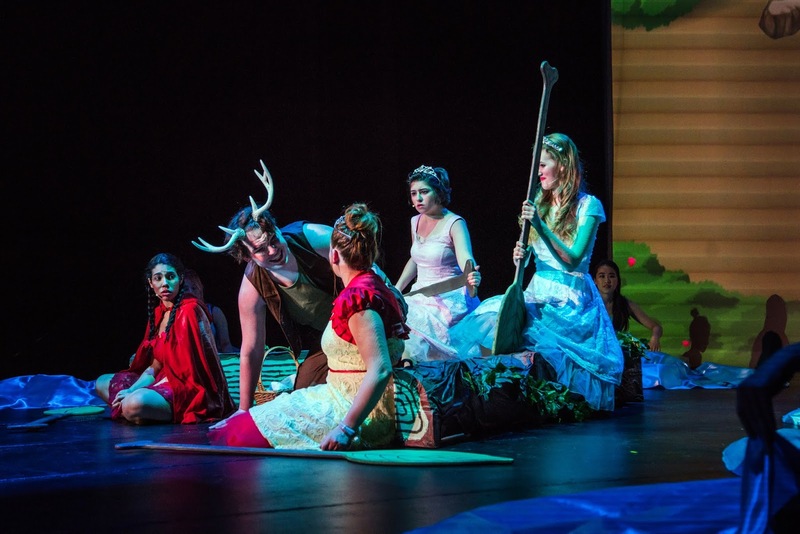 If you’ve never been to a production by Shoreline Community College, give this one a go. In these times where tolerance is being trampled, I was thrilled to see that stories from other countries are still being embraced here and that diverse talents can still work together to create an experience designed to broaden our view of the world, not restrict it. The show runs 90 minutes without an intermission. 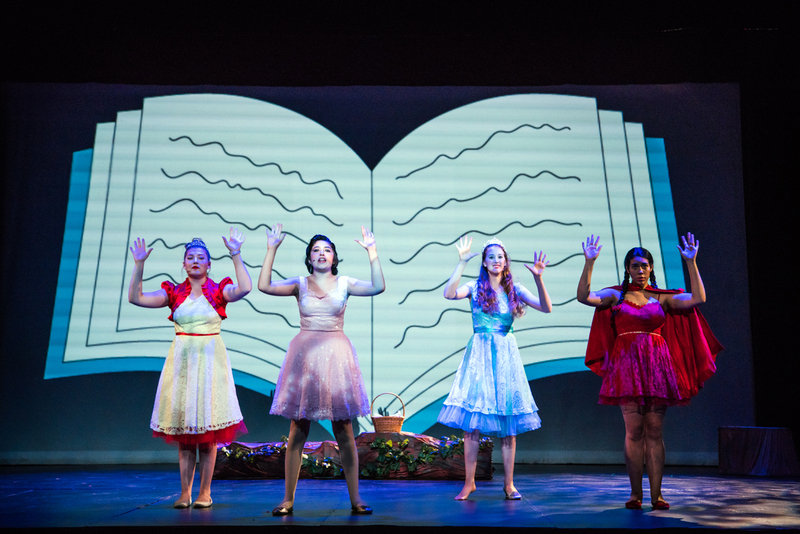 It opened June 7 with additional performances on June 8, 9, 14, 15, and 16. Tickets are extremely reasonably priced ($10- $16), and they serve popcorn and other goodies in the lobby. Performances start at 7:30pm. The theater is located at 16101 Greenwood Ave N, Shoreline 98133. Well-placed signs will lead you directly to the theater.